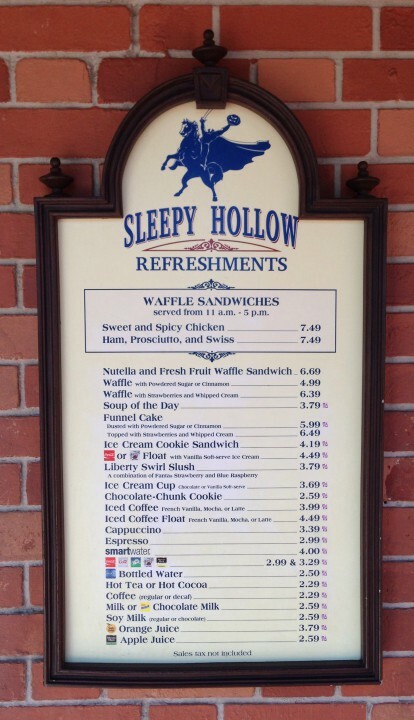 Dining Recon: Sleepy Hollow Refreshments | It's "All in WDW"
Note to file … Sleepy Hollow Refreshments is not in Fantasyland! I don’t know what possessed me to run all over Fantasyland looking for it, but the Magic Kingdom’s “waffle house” is actually in Liberty Square. Sheesh! Finally! A waffle! 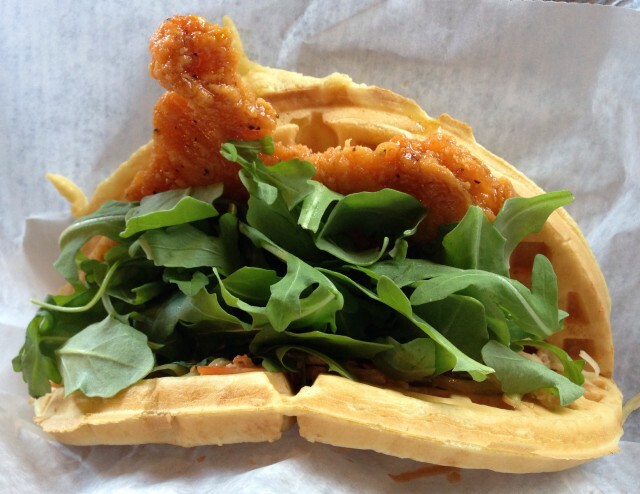 I finally got my Sweet and Spicy Chicken Waffle Sandwich! I had been looking forward to trying one of these delights for quite some time, and as I waited to be served, I found that, well, I just needed to wait a lotta bit longer. No, seriously. 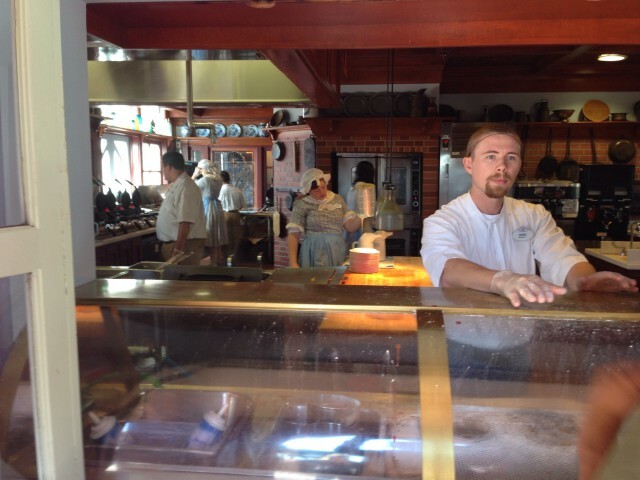 The line to order and pay wasn’t all that long, but getting served was another story. I had a good fifteen to twenty minute wait to endure before I could eat my lunch that day! Once I had my meal in hand, however, I found myself quite happy. The chicken was crispy. It was spicy but only mildly so. The waffle was tasty. 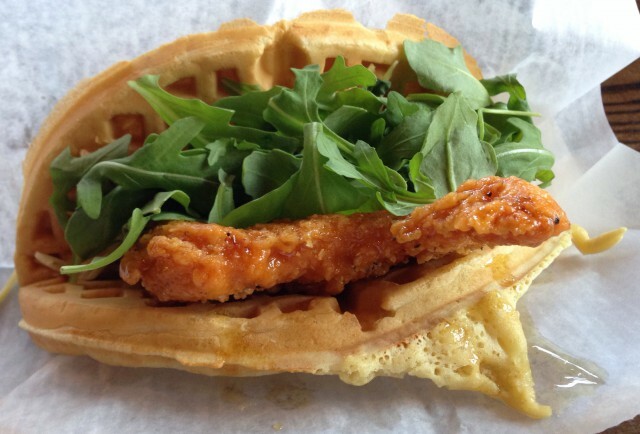 A light drizzle of syrup added the dish’s sweetness. It was a great bite and one I’d highly recommend! Visit Sleepy Hollow Refreshments, but take it from me … don’t try to find it in Fantasyland, my friends! Ooof. ← There’s Never Enough Starbucks … Is There?! A chilly evening last night at Epcot. Ate at Nine Dragons in China. Worst meal I’ve ever had in Epcot. Only thing good was the Pork Belly Steamed Buns.